What was for many years a tradition will be repeated this Saturday (January 19) when the dirt track racing season opens at the Old Bar track near Taree. The Taree Motorcycle Club will stage its Twilight Open meeting which has attracted an impressive line-up of senior and junior racers. Senior entries are headed by two of the most successful riders in Australia over the past decade – reigning triple Australian Dirt Track champion Michael Kirkness and another former champion Marty McNamara. Among their toughest opposition is expected to be the strong contingent heading down the highway from the Macleay Club with the seasoned campaigners Jarryd Oram and Michael Booth joined by young guns Sam Davies, James Chapman and Alex Hurst. Kirkness leading McNamara at last year’s Australian Dirt Track Championship meeting. Kirkness will now carry No. 1 on his bike as the reigning champion in the premier 450cc class. The Over 35s class will take on added significance with the family of the late Peter Fahey sponsoring the class in his memory. 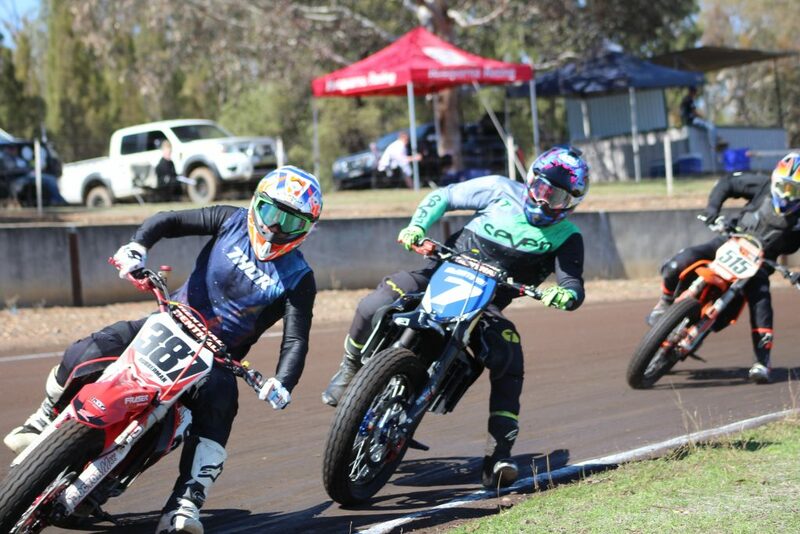 Kempsey youngster Jayden Holder, who steps up to an older age bracket this year, Queenslander John Lytras and diminutive Beau Bailey from Forbes are among the best credentialed visitors coming to take on the strong entry of local riders in the junior classes. This Saturday will see practice start at 12 noon followed by the first round of racing at 1pm and continue through to late afternoon, around 5.30pm. Following a tea-break, the lights will be turned on for the last round of heats and the finals in the night-time session. So fans who cannot be there in the afternoon will still be able to take in the action as the various classes of racing will be finalised in the night-time session.